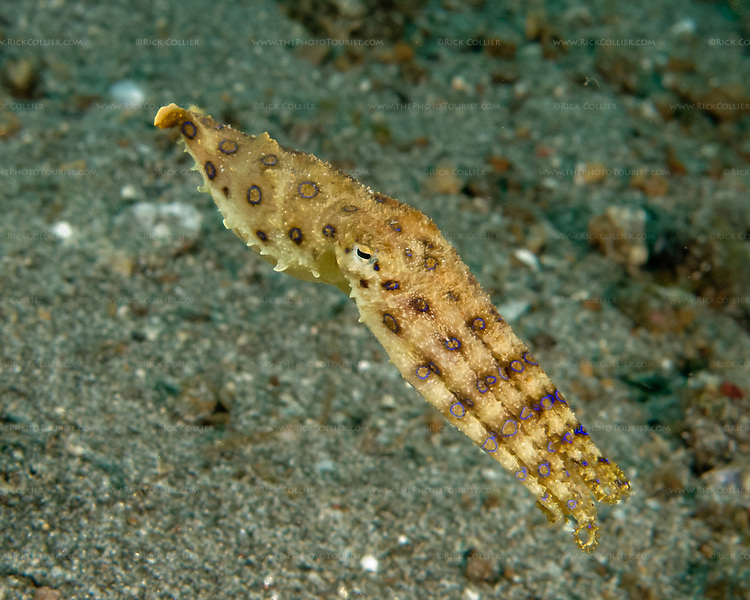 The blue ring octopus is among the most venomous creatures in the world; its bite is usually lethal even to adult humans. Normally brown or another nondescript color to blend in with its surroundings, the blue ring turns photogenically bright yellow with blue rings only when disturbed. Fortunately, this little creature is not at all aggressive: The warning color change is a prelude to flight, and even this tiny guy can easily escape all but the most determined lumbering human diver.